It is clear from our art and literature that we romanticise the lives of wild horses. In ways that impose our human-centred ideals and prejudices – anthropomorphism – mares are imagined living in social groups that are protected and defended by a single handsome, intelligent and brave stallion. Visions of stallions standing on rocky outcrops or atop hillocks, overseeing their mares and offspring, vigilant for danger, and ready to fight are routine in children’s literature and persist into adulthood to say more about how we view ourselves and our own societies than about how horses live. Real life, however, is seldom so quaint… … but it is more interesting. The truth is that some mares live without the companionship of other mares. And some mares and mare-groups live and breed with more than one stallion. The breeding groups of wild horses, called bands, are reported to sometimes include just one mare. They may also include up to five stallions such that the stallions in a band sometimes outnumber the mares. In mine and colleagues’ work with feral horses of the Kaimanawa Mountains, New Zealand, we have studied bands with as few as one mare and up to four stallions. Multi-stallion bands are not unusual either. They were reported in 15 of the 20 feral and wild horse populations described by the scientific literature  and comprise up almost half of bands in some populations [2, 3]. Multi-stallion groups are also reported in zebras, although they appear less commonly . It is clear that horses are polygynous breeders – one stallion can sire many offspring every breeding season but mares are limited to one offspring, and therefore sire, per season and year. Bands with just one stallion, therefore, would appear to ‘make sense’. Any additional stallions are apparently superfluous. It has long puzzled ecologists, therefore, why stallions would share a mare group. It is especially puzzling that multiple stallions might live together in a band with just one mare. Clearly, it is not possible to share the paternity of one mare’s offspring in a season. Surely, the stallions in such bands would achieve better breeding success if they left to join bands with more mares or just lived as a bachelor, like so many other especially young and old stallions do, to sneak mating opportunities from the willing mares of many bands when their stallions are not vigilant? Many hypotheses have been advanced for multi-stallion breeding groups. Most behavioural ecologists who have pondered the puzzle liked the idea that stallions are cooperating to breed. There are several hypotheses for cooperation. Some have applied terms like mutualism because each stallion’s breeding success might be improved when they work together to defend mares. However, mutualism is a poor concept for stallion relationships because the stallions that share bands are not equal partners – one dominates the other in all populations where the relationship has been studied. Mutualism is also a term, in modern usage, for positive relationships between species, not individuals of the same species. Some described the relationship between stallions as reciprocal altruism whereby the dominant stallion tolerates subordinates in exchange for assistance in defending the mare group from other stallions. Imagine an ‘I’ll scratch you back if you scratch mine‘ relationship. This theory for stallion cooperation fits best with the modern characterisation of cooperation between individuals of the same species called Concesssion Theory. Dominant stallions may offer reproductive concessions – opportunities to mate – in exchange for subordinate stallion assistance in the defence of mares. In this circumstance the subordinate stallion has been refered to as a ‘helper’. Not all favour cooperative hypotheses for multi-stallion breeding groups, however. Some have pointed out that they might just as well be explained because stallions have limited control of their mare group and other stallions. If a stallion is persistent there may be little the resident stallion can do to exclude him from their band. Some have coined the term mate parasitism to explain multi-stallion bands in this way. The additional stallions are supposedly associating with bands to take whatever breeding opportunities the dominant stallion cannot prevent. With so many hypotheses, experiments are the only way to be certain which is the best explanation. In a recently published article in the scientific journal Behaviour Processes, colleagues and I tested some of these hypotheses by temporarily removing the subordinate stallions from multi-stallion bands. If stallion relationships are cooperative then subordinate stallion removal should require the remaining stallion to increase mare defence result in his losing mares to other stallions. The reverse is expected if the subordinate stallion is a mate-parasite. Mare defence will decrease but mares be successfully defended. In a future post I will describe this work and the findings. There is more work to be done on this problem but the experiment has revealed where we should be looking, and not looking, for answers. 1 Linklater, W.L. 2000. Adaptive explanation in socio-ecology: lessons from the Equidae. Biological Reviews of the Cambridge Philosophical Society, 75: 1-20. 2 Linklater, W.L., Cameron, E.Z., Minot, E.O. and Stafford, K.J. 1999. Stallion harassment and the mating system of horses. Animal Behaviour, 58: 295-306. 3 Kirkpatrick, J.F. ; Turner, J.W., 1986. Comparative reproductive biology of north american feral horses. Equine Veterinary Science 6: 224-230. 4 Rubenstein, D. and Nuñez, C. 2009. Sociality and reproductive skew in horses and zebras. In: R. Hager and C. Jones (Editors), Reproductive skew in vertebrates: proximate and ultimate causes, Cambridge University Press, Cambridge. Another fantastic piece of work from Wayne Linklater. This time Wayne talks about multi-stallion bands, and how they are not as infrequent as one is led to believe. I especially like that he points toward a likely anthropocentric expectation as a precursor that upholds this view and maintains it. Thanks again, Wayne! Great work, but please don’t overlook mare preference. When I had my herd of 25+ Spanish Colonial horses that had run free most of their lives, the mares had a great deal of say in which stallion they chose. 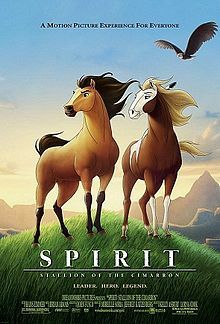 The paint stallion was 10 years older than the buckskin and clearly head honcho. That meant he spent most of his time babysitting the new foals and mentoring the colts (including the buckskin). At breeding time, the herd separated themselves quite peaceably into those mares that liked the paint and those that liked the buckskin. The stallions, especially the older one, were quite delicate and cautious about approaching mares in heat, as the mares met unwanted approaches from the stallion they disliked as a breeding partner with spectacularly loud and violent protests. The mares were calm, affectionate, even demanding, of their chosen mate, so offspring without personal injury seemed the rule of the day for the stallions. Wonderful – thanks Sara. Yes – there is a whole lot that can also be written about mare choice of mates. This is certainly a topic for future posts. Thanks for your comment. Wayne.